I hesitate to write the response I have been invited to give to the Introduction to Lambert Zuidervaart's new book, given the time frame available and the fact that I am currently a long way from home, hunkered down in a basement apartment in Washington on what has been a weekend of historic snowfalls, without access to books, articles and other sources. However, I do not feel I should resile from this opportunity to mark and hopefully honour what my longtime friend and colleague has offered to us, so I am determined to bite the bullet. 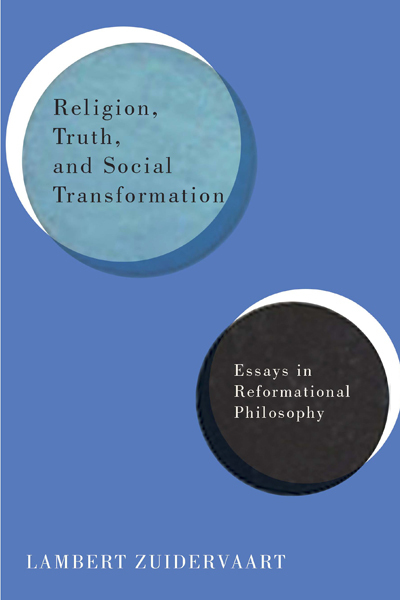 For this collection of essays, volume one of two to be published, is a great gift to the Reformational community, to Christian scholars and others generally, and to all those who are concerned to reflect and act on the need of our world for radical and comprehensive social transformation – both radical and comprehensive because it is rooted in the sacrifice of Jesus by which all things everywhere, and in all times, will be reconciled. Zuidervaart is a scholar – I was tempted to say, through and through, but he is of course much more than this. His vocation, in the narrow but commonly understood sense, is scholarship, including of course, teaching. He is an intensely-focused, dedicated and consummate practitioner of his craft. Like all of those who take a stand within the Reformational tradition (and many more besides, of course), he offers his scholarship in service to God and neighbour. It is scholarship devoted to glorifying his Lord and bringing flourishing life to all God's creatures, human and otherwise, and these not as individual beings in isolation from one another, but as standing in inextricable interconnectedness. Thus, his scholarship incarnates the genius of Reformational philosophy, that scholarly investigation is always accountable to everyday people in their everyday lives. Thus, [Zuidervaart's] scholarship incarnates the genius of Reformational philosophy, that scholarly investigation is always accountable to everyday people in their everyday lives. Zuidervaart affirms that scholarship is a traditioned undertaking; he is, like me, part of the “third generation” – my co-respondent this week, Neal DeRoo, is a member of the fourth. When one reflects that Thomism, for example, continues to be a living tradition (even when “neo” – we, after all, are “neo-Calvinists”) though several centuries have passed, we understand how short a time since this tradition was birthed, though its philosophical ancestry traces all the way back to Augustine, and further. This theme in the Introduction certainly struck me, as I have been wondering how much we continue to keep this tradition alive. “Reformational” connotes many things, of course, one of which is ongoing reformation – semper reformanda. There are now and then suggestions that it is time for us to leave Doooyeweerd and Vollenhoven behind, in which case there will be no fifth-generation Dooyeweerdians or Vollenhoveans (as the latter tend to be called, the elision being felt more felicitous). There is a fear of scholasticism, in the pejorative sense. I believe disparagement and nigh dismissal would be a gross mistake, for the work of these men and their colleagues, in the first and subsequent generations, is a treasure of which we are custodians, though we hold it in earthen vessels. The Institute for Christian Studies is one of but a few institutions founded to safeguard and further this tradition, and not all these or the individuals they comprise agree on how it is to be interpreted and nurtured. On the other side, so to speak, a colleague at the 2011 Association for Reformational Philosophy Conference questioned why Zuidervaart (a keynote speaker) seemed so intent on reinventing the wheel, when the existing concepts and frameworks were more than adequate. I empathised with his fear of dismissal and denigration, but I trust the Introduction and the chapters constituting the book will help to disabuse him of this attitude. There will be many interlocutors in this dialogue, which will span three months. It will be a symposium with characters of diverse backgrounds and viewpoints, but like its namesake, I guess it will be fundamentally about love. At least, I think this is what Lambert will hope, given at least the themes of his opening chapter. He is committed to “critical retrieval”, in which project he engages extensively in a positively critical manner with his mentors, as well as with many others. But I wonder how significantly Dooyeweerd has been interpreted at ICS the past nigh on fifty years through Vollenhovean spectacles. One matter on which Vollenhoven differed from Dooyeweerd, according to Zuidervaart, has to do with the “Divine Command of Love”. Now, I am not writing an introduction to the Introduction, but a response, so I will not rehearse what he has to say. (Besides, I am facing an ever more imminent deadline, which might indeed sharpen one's mind, though is just as likely to evoke anxiety.) Those of a certain generation – and I dare say, their successors, given the recent revelation that sales of past “albums” are now surpassing those of current releases for the first time – will know Pink Floyd's Dark Side of the Moon. And if not the album itself (though there are students still singing “We don't need no education” in classrooms, as one or two of mine did), then its cover. 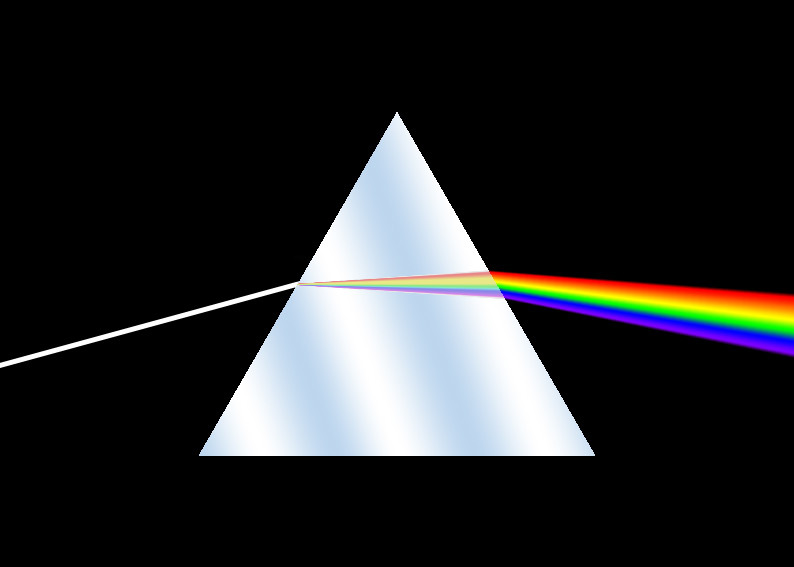 This depicts light passing through a prism, and emerging the other side as a dispersed (diffused, diffracted – I have never quite found the right term) spectrum (with indigo missing). My recollection (as I said at the outset, I am presently distant from the sources I could consult to check this) is that Dooyeweerd, in The Christian Idea of the State, uses the analogy of light through a prism to illustrate how the Divine Command of Love issues in creation in modal aspects, how (modus quo) love is experienced within our timed, thus differentiated, horizon. Love is thus indeed (to be) expressed through what Dooyeweerd calls the determinative (pre-logical) dimensions of experience, not only the normative aspects. This in turn speaks to apparent differences between the place of God's law in “the scheme of things”. I have long since been taught (after coming under Reformational tutelage forty plus years ago) and early accepted that Scripture is not a collection of propositions, the principles constituting the core of revelation that need to be separated from the narrative dross by systematic theologians. Scripture is not a theoretical tome in mufti, and neither is the Word of God spoken to us also in Christ and creation (in the comprehensive sense Zuidervaart describes). Now there is every chance I have misread Dooyeweerd, but what I have understood is that there is no access to eternal Ideas or Forms outside the realm of concrete events, i.e, history, in which the incarnation of Christ is pivotal. Normative formulations and actions are ever a result of struggle between good and evil, between grace and sin. They are accessible and only gained through historical struggle – the indispensability of human positivisation cannot be denied, nor the direction it should take toward love be gainsaid. It may well be the case that Dooyeweerd knew this in his heart but could not articulate it clearly in his philosophising; but I would not take this for granted. Normative formulations and actions are ever a result of struggle between good and evil, between grace and sin. My doctoral research was inspired by Dooyeweerd. When I commenced this project, I was not at all sure where this inspiration would lead; I just knew that there was something quite significant in this way of honouring the fundamental role of religion/spirituality in scholarship, as in all of life (something quite missing from my experience as an evangelical undergraduate on a secular campus). It led me to what I termed “the ways of knowing thesis”, which was not, as many have assumed, the recognition of diversity on the “objective” but on the “subjective” side (avowedly in the context of an integral subject-object relation, in which ontology does encompass epistemology). That is to say, it has to do with how the knowing subject orients toward entities, rather than just the multi-dimensional ways in which entities reveal/present themselves to us. Though Lambert's exploration of different modes of truth is far more sophisticated than mine, it nonetheless has, I believe, the same roots. I will not elaborate, but I am struck by the resonance between Lambert's engagement with the practice of art (and not only aesthetics) and mine with the practice of education, both being stimuli respectively to adjust our theoretical frameworks so they are accountable to everyday experience – again, the “genius” of Reformational philosophy. I dare to suggest that, for both of us in our own fields, a primary motivation was to combat the hegemony of “logic”, “Reason” or “technical rationality” so that the vastly rich complexity of this creation which God placed in our care and the incredible diversity of God's image-bearers could be fully realised. If we both learnt one thing from both Dooyeweerd, Vollenhoven and their successors, it is that religion (spirituality) is the mainspring of life, and that in this our lives should be directed in all things to love of God and neighbour. Oh, after “finishing” this, one more thing came to mind, one difference between Dooyeweerd and Vollenhoven Lambert did not mention that I think is important: the latter's insistence on a “Scriptural philosophy”. This is definitely worthy of further exploration, though Seerveld and Hart, among others, have practised this in ways worthy of emulation. Doug Blomberg was drawn to ICS by the pull of a Reformational vision of life, one of cosmic redemption. His dissertation was entitled "The Development of Curriculum with Relation to the Philosophy of the Cosmonomic Idea", a deliberately vague description as he really did not know where it would take him. As it turned out, his career as a teacher, teacher educator and administrator, first of all in Australia, and for the past thirteen years in Canada, has been deeply informed and continually enriched by this tradition. 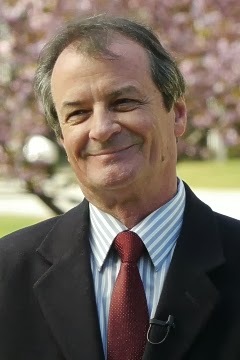 He currently serves as President of ICS and Senior Member in Philosophy of Education. "Love is thus indeed (to be) expressed through what Dooyeweerd calls the determinative (pre-logical) dimensions of experience, not only the normative aspects. This in turn speaks to apparent differences between the place of God's law in 'the scheme of things'." So there is something about "law" that orders and shapes our existence. It is, as Dooyweerd puts it, a "command" to love that manifests in a structure of and for love, the "for" being a matter of normative struggle, as you (and Lambert) put it. I wonder, though, if there isn't something too "nomocentric" about this view (and here I'm touching on an old but very intriguing discussion in the ICS halls about normativity and law). When God says "let there be" in Genesis, it seems we're presented with what Nik Ansell calls an "invitation to be," something in the "jussive" case, a theme I find echoed in Jim Olthuis's work about the "beautiful risk" of creation. Here love is not an a priori command, but an a priori invitation, a gift that harbors a call (a theme introduced to me early in my philosophical training by Matt Bonzo, a student of Jim). Put this way, creation ebbs and flows, orders and disorders, according to an invitation to love, but not according to a divine command that demands an ordering. Both views offer a high degree of plasticity, but Dooyeweerd's, it seems to me, suggests that plasticity should only unfold according to God's ontological script, whereas the other view is a bit more improvisational, a little more jazzy (I suppose we'll see next week, when Jazz has his look at Dooyeweerd--sorry Jazz, I couldn't resist!). It may seem like a subtle point, but I think it's a difference that makes a difference. Is this a philosophical matter, or a matter of preference, do you think? That is, would Dooyeweerdians, the pupils of a jurist, find an emphasis on the "jussive" simply another way of saying the same thing, or would they (you?) take a more ontologically charged issue with the displacing of "commands" and "laws" at the beginning of creation? NB: As a potential "fifth generation" Reformational thinker, I'm thankful to be privy to such lively and ongoing discussions in, as you call it, a "living philosophical tradition." Thank you for your kind invitation, Dean; I believe it deserves a response. It is rude (not just impolite, but uncaring) to ignore an invitation graciously offered, to neglect to RSVP. I returned on Thursday and did not read your post until yesterday. I apologise for my tardiness; I trust you will forgive my lapse. I could characterise your invitation as a “problem”, as long as this connotes “problems are our friends; inside every problem is a workshop”. This phrasing is drawn from my field of specialisation (citing Seymour Papert and Michael Fullan), and it is in this context that I feel free to advocate a “problem-posing pedagogy”. It is to create a space for learning. In our condition as organically developing creatures, always growing (and yes, necessarily dying, killing off cells in our continuous remaking – “disorder” amongst “order”? ), we are inevitably learners. We are timed (because created), and no experience is exactly the same as previous encounters; if we act as if it were, we are automatons, not fully the persons we are called to be. We do not then take account of the significance of time – time passing, thus having duration, and also sequence, as Dooyeweerd expounds in his theory of “cosmic time”. As to sequence, for now, if “you can’t go back”, there is a fundamental order(liness) constitutive of the cosmos God brought to be. If this inability to undo what has been done is a creational given, forgiveness is essential to redemptive re-creation of our fallen existence, the “third axis” (as Charles Taylor writes) opening up a three-dimensional space inaccessible on the axis of (retributive) justice alone. This latter “judgmental” order is transformed into something more “judicious” when it takes account of our frailty, marrying just (thus, loving) actions with mercy while walking hand in hand with God. Not to open old wounds, but it is the case that the English and French rarely walked hand in hand during the second millennium AD. Though a trivial matter in the fraught history of this relationship, diplomatic difficulties apparently arose because the English would mishear “Je demande”, evoking “demand” rather than “ask” (it is thus a “false friend”). Similar difficulties arise within the common language which (Churchill said) divides us: when an American praised me effusively for my sarcasm, to an Australian this was a most egregious slight. I have become accustomed to North Americans’ eyes sometimes glazing over, and I know it is perhaps my accent that has defeated them, or I am using unfamiliar idioms (“midday”, “fortnight”, “next week”, to restrict myself to the temporal theme), or worse, the word I used has a different connotation and sometimes even denotation for them. We are people of the Word, and this not restricted to being people of the Book: the word of God is living and active, in Christ, creation and Scripture. Jesus’ retort to the [sic] Satan is that we live by every word proceeding from the mouth of God (Matt 4:4 quoting living Scripture, Deut 8:3). God’s word does not return void, but accomplishes what God purposes (Is 55:11). God is the great “I am” who I will be, the God of Abraham, Isaac and Jacob (Ex 3:6, Matt 22:32), the God who *lives*, and in whom we live and move and have our being. This God is not a thing of stone or wood, nor is creation inert, for God leads all things dynamically to their consummation in Christ. Moment by moment, breath by breath, we are succoured by the breath of God, just as Adam was enlivened, inspirited, from the dust. Words are first and foremost *breathed*. In the older Testament, and the newer, Word and Spirit go hand in hand; where the word points to precision (but only points, does not attain), the “wind” blows where it will. So, we may think of the Word delimiting and defining and the Spirit pervading nooks and crannies eluding words and providing the essential *dynamis*. Yet, in brooding over the windblown waters, the Spirit speaks the Word, and invites what will be. In doing so, God sets boundaries between what is and what is not, between land and sea, night and day, animals and humans. Is this “laying down of the law” imperious or imploring, authoritarian or authoritative, dictatorial or diaconal? Is the directive “not to eat of the fruit of that tree” an expression of love or loathing? The Kuyperian concept of “sphere sovereignty”, so crucial to our understanding of societal structures and further unfolded by Dooyeweerd and Vollenhoven in their identification of modal aspects, enabling more precise analysis of the functioning of the former, is rooted in the biblical revelation about creation, an ordered and orderly space in which freedom is enabled by and realised because of constraints. To return to the theme of learning, this is possible and helpful only because of the reliable constancy of the world; without this, every experience would not be merely relatively novel, it would be radically so. Every day would be (not precisely) *Groundhog Day*, and we would start all over again with a *tabula rasa*; “everyday experience” would be utterly, ineluctably naïve and, in the sense Dooyeweerd intended, impossible. Back to misleading words. In the 1970s in particular, our Reformational insistence on the Word of God as active in and for creation was anathema to many, seemingly threatening the authority of God speaking through Scripture. However, Scripture itself speaks of the Word in this way, and also, of course, as incarnate in Christ (in both cases, as *wisdom*). We in our tradition certainly do not challenge the authority of Scripture. Our Educational Creed (co-authored by Vollenhoven and Evan Runner), the Basis of our identity and mission, affirms that “Scripture, the Word of God written, in instructing us of God, ourselves and the structure of creation, is that integral and active divine Word or Power by which God, through his Spirit, attaches us to and enlightens us in the Truth, which is Christ.” We are committed, after all, to “the inner biblical reformation of the disciplines” (which for me takes on a distinctly Vollenhovean cast, as intimated in my original post). Paul wrestled with the extremes of legalism and antinomianism, perhaps nowhere more pointedly than when writing to the saints in Galatia. Both polarities are a curse; both lead us to go over the edge, to fall off the cliff (as Schaeffer put it in his illustration of the circle of “form” and “freedom”). Commandments do have a legal dimension, but cannot in themselves be legalistic. Only people’s rigid, narrow prescriptions and proscriptions can be this, devoid of the inevitable interpretations in any case brought to court, when there is due consideration of context (especially after the influence of the gospel brought mercy, equity and so on into play). Statutory law cannot specify what must happen in this or that instance or in relation to this or that event, any more than a scientific law or statistical generalisation can say what this or that responsible person will do in this or that situation, in any of its many (fifteen?) dimensions. Common law, as inference from multiple cases over many centuries, is a realm in which deliberative judgement, not an algorithm or a syllogism, is even more unavoidable. “Commandment” is not in itself a harsh or dishonourable word. A commandment *commends* a mandate, a *commitment* to a way of going. Thus, what we call the Cultural or Creational Mandate (and the Great Commission for that matter) is an encouragement to humankind to go into all the earth, *entrusted* with stewarding its flourishing, that God’s will be done on earth. The “Divine Command” of/to love, as Dooyeweerd puts it, is indeed “jussive”. What tripped me up a little, Dean, was your affirmation that God’s invitation/gift comprising a call (following Ansell/Olthuis) is also jussive. It too, then, is a command, an order, perhaps an exhortation. Heather (my wife, for those not in the know) helpfully pointed out I have not been sufficiently explicit in response to your emphasis on love. What I have been trying to do is open up the meaning of “command” (and so on) in the light of Scripture so it is more hospitable than it seems on its face to many. A problem-posing pedagogy seeks to open up just this kind of space, a space for student-learning rather than (only) teacher-telling. Problems are often “wild”, “messy”. We must not assume there is one right answer obtaining in all times and places. We must not forget we are situated in time, shapers of “plastic” history according to the mandate God has given. The way is one of truth and life – of love, for God is love, speaking only words of love. I agree, *a fortiori*, there should be no (“hyper-Calvinist”?) baptising of deterministic notions when Christ, in truth, has set us free. Paul emphasises this with a tautology (or pleonasm, if you will): “It is for freedom you have been set free” (Galatians, again – 5:1). In 1999, I was privileged to co-teach an interdisciplinary seminar with Henk Hart. In the final class, Henk shared his diligent analysis of the articles of mine we had read. He pointed out the recurrence of two themes. The first was my stress on orderliness, normativity, and related terms. The second was that of contingency, situatedness, the complexity of everyday experience, subjectivity, etc. If my recollection is accurate, he was surprised to see the prominence of the latter, perhaps because his eye was focused on what he regarded as the Platonist remnants. As you indicated, Dean, the tension between these two themes has been a recurring topic in the life of the Institute – and much more widely, of course, as it really is one of philosophy’s perennial concerns, the relation between the universal and the particular. Are these the only options? Is this an outcome of an imposition of the Classical bifurcation of theory and practice onto ontology? If we were to hold theorising accountable to everyday experience, as we say we seek to do, would we find a way through the horns of this dilemma? The future of “law” in the “Philosophy of the Law-Idea” (*Wijsbegeerte der Wetsidee*) or “the *Cosmonomic* Idea” is indeed a question very much alive in our tradition. Thank you once again for your invitation to play around with this – I’m enjoying the party! Or should I consider it a command performance?